On 18 March, nice halo phenomena with complete and bright parhelic circle and Wegener's anthelic arc were seen in Germany, Austria, Switzerland and France. The extent of the area where the Wegener was observed is remarkable! Some of my own photos from Brannenburg, Southern Germany can be seen in an album or as a slide show ( 1 - 2 ). 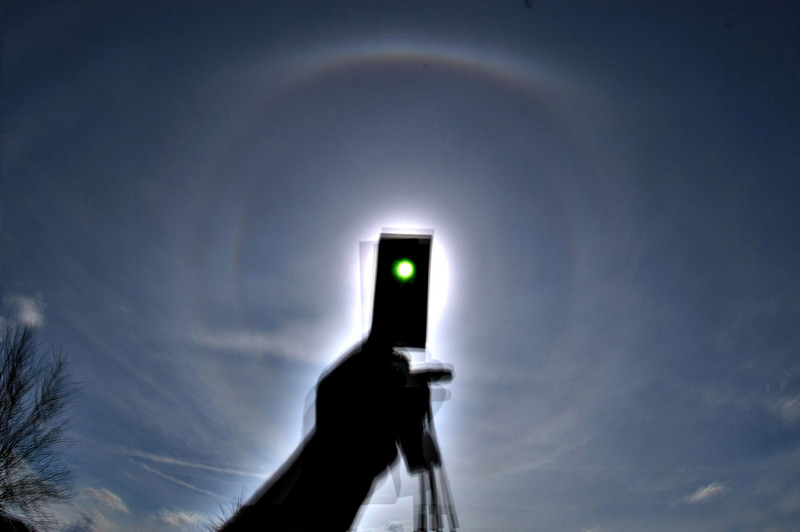 More pictures from other observers in West Germany, Austria, Switzerland and France are linked at spaceweather.com and in the German halo forum ( 3 - 4 ). 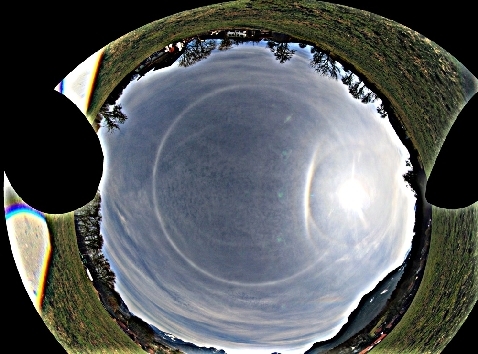 On the way home from work I photographed a bright elliptical halo ( 1 ). 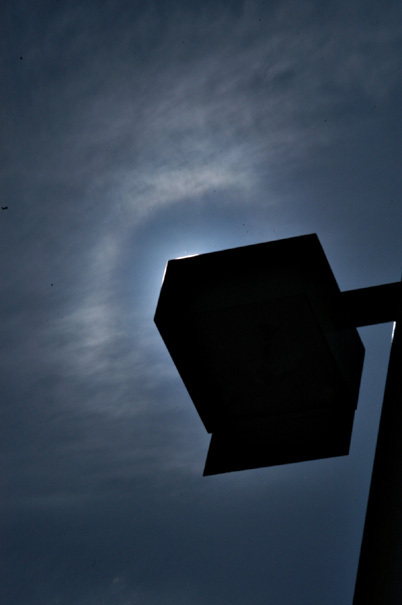 Later on as winds from a cold front pushed a lot of low level cumuliform clouds away and I was on the state route when this happened and I held my sunglasses near my car's windshield I could make out a bright arc on top of a halo and a closer look showed another halo. I pulled off on to a small road and got to watch a half decent odd radius halo. 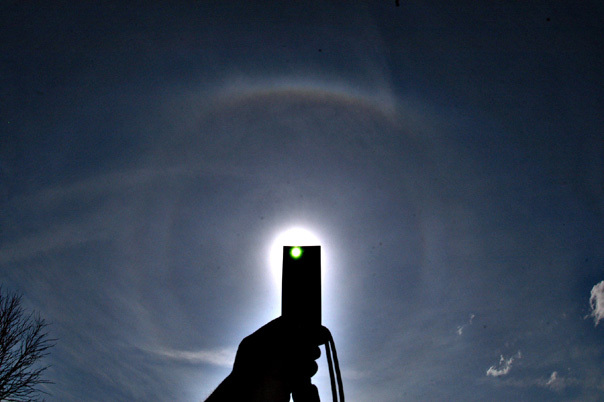 in all I got 9, 18, 20, 23, and faint 35d halos and a bright upper 23d plate arc ( 2 - 3 ).